JANE ELMER was named the Executive Director of the Wisconsin Retired Educators’ Association (WREA) in 1991 when WREA, the lead plaintiff, was in the throes of the 1987 pension fund raid litigation. Jane learned quickly the value of the pension fund and its complexities. The Wisconsin Supreme Court ultimately issued a unanimous ruling in 1997 stating pension fund participants had property rights to the pension fund, and the pension fund needed to be restored with interest. For Jane, that decision will be among her career highlights. A graduate of St. Olaf College, Northfield, MN, Jane was a high school speech and English teacher. She also served two terms as a School Board Member in the River Valley School System. Before coming to WREA, other work experiences included human service administration, public relations and fund-raising. Jane has served on several national committees in addition to representing WREA in organizations for retirees at the state level. Jane hails from the village of Plain, about 35 miles west of Madison. She and her husband Bob have a daughter and son who are teachers in Southern California. Both are married to teachers. In addition, Jane is enjoying a new role—that of grandmother. 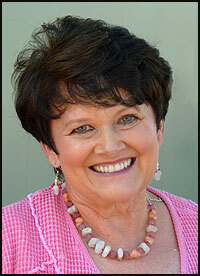 Jane has announced her retirement from WREA effective February 1, 2012. She plans to spend more time traveling, reading, beading, decorating, gardening, cooking and spending time with family and friends.